My wife and I are new to sailing and want to be as safe as possible. 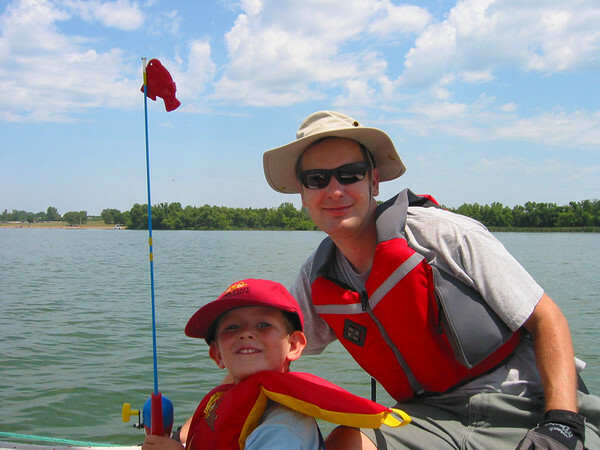 To that end we are thinking about wearing a PFD all the time. However, they get hot! We have considered the inflatable type, and found them expensive, in the $200.00-$250.00 range. Thats okay as long as they deliver! Does anyone have any advise, inflatable PFD, or otherwise. I have heard stories of the inflatable type being prone to problems. Are these stories isolated to the first generation inflatables only, or do they continue. Submitted by bigpapaporsche on Sun, 07/22/2007 - 21:39. We bought our inflatable PDF about three weeks ago and have used them 3 times. We settled on the Mustang MD3184 Hydrostatic ($230.00) after considerable research. We bought two Sospenders PDF from Bass Pro (unused)previously, but just weren't confortable with that decision, so we took them back. The Mustang model is their top of the of the line and we couldn't be happier with them. I just finished reading "Sail Magazine" (Aug 2007)tonight and they tested several inflatables, and rated the Mustang MD3184 5 stars. The only other 5 star was the Spinlock Deckvest 150N @ $365.00. I can report that the Mustang is very confortable and we will not find it a problem to wear them 100% of the time. I would recommend them highly! You will be happy with this purchase. Submitted by tammany on Sun, 07/29/2007 - 17:06. You will be happy with this purchase. I have sailed extensively offshore where the rule is: no one topside after dark without a PFD and clipped in harness. For about five years I have used a combination PFD/harness from West and find it very comfortable. Even inshore I frequently wear it while short handing our 35 foot sloop, regardless of the time of day. When I am alone, it is a must. Be certain to test the inflation, keep extra CO2 cartridges on hand, and replace the cartridge every year. Just wanted to bump this topic. Submitted by Javier on Thu, 10/11/2007 - 16:31. Just wanted to bump this topic. I'm also looking for a PFD. For now I'm just renting a Flying Scot about once every two weeks, and I only sail it in a fairly calm, low traffic portion of a river. Anyhow, I see the recommendations for the Mustang PFD and another one but, to be perfectly honest, their prices are a bit above my budget (I'm thinking more of the $100 price range). I'd also like a PFD that I can use and re-use with little difficulty (i.e., rather not have an inflatable one). Sometimes it gets hot, and I'd like to jump in the water without having to deal with inflation deployment and related maintenance. Maybe I don't understand these inflatable PFDs, but I'm thinking they require some maintenance every time they deploy, right? Anyone have any recommendations that are more within my budget. I know you can't put a price on safety, but my wallet disagrees. [:D] Thanks! Submitted by Claus on Fri, 10/12/2007 - 18:02. Originally posted by Javier Maybe I don't understand these inflatable PFDs, but I'm thinking they require some maintenance every time they deploy, right? Yes, you need to install a new CO2 cartridge and I think they aren't cheap either. Anyone have any recommendations that are more within my budget. Go to a local outdoor sporting store and look at their life vests. See what you like and fits well. Be sure to check out the ones made for canoeing/kayaking. They are less restrictive. I've been using a cheap life vest like this that can be found at stores like Wal-Mart or K-Mart. But now I'm using something a bit nicer one from MTI that is about in your price range. Both worked out OK. The picture in my signature is with my old vest. Here is a picture with my new one. I know you can't put a price on safety, but my wallet disagrees. Inflatable PFD aren't any safer. I would argue for the opposite as there could be a chance that they don't inflate. Their only benefit is that they are designed to be smaller and less restrictive. Submitted by Javier on Fri, 10/12/2007 - 19:54. Thanks so much for the detailed response. I'd been looking at the same models in that MTI website. I'll go to REI or Hudson Trail Outfitters tomorrow and get one. Thanks again. I have used a whitewater paddling jacket for over 15 years. Submitted by tweisleder on Fri, 10/12/2007 - 23:38. Submitted by bigpapaporsche on Mon, 10/15/2007 - 23:04. Any PDF will work, as long as you wear it! Think about your sailing experiences, how many time do you see anyone wearing any PDF except in strong wind. The beauty of the inflatable type is they are so comfortable you will want to wear it all the time. My wife and I have used our all summer, in tempertures up to 95 degrees, wihout any thought of taking them off. The better quality one only need service every five years. Submitted by Claus on Thu, 10/18/2007 - 09:39. One thing I always wonder is why people buy PFDs that are some dark colors. I like them bright since their purpose is to save life and bobbing in the water with a dark life vest doesn't do that well. Motor boaters have a much harder time to see you when they speed up and down the lake. Just another thing to consider when buying a PFD. I wonder about the dark colors also. Submitted by bigpapaporsche on Fri, 10/19/2007 - 16:18. I wonder about the dark colors also. Then I realized that even though the outside was a dark color, (our are red) when they inflate they are actually yellow. The videos I have seen of the Mustang PDFs show them as being yellow. So why not be color co-ordinated and look good before you take a swim!